Understanding the role of clouds in climate change remains a considerable challenge. Traditionally, this challenge has been framed in terms of understanding cloud feedback. However, recent work suggests that under increasing levels of atmospheric carbon dioxide, clouds not only amplify or dampen climate change through global feedback processes, but also through rapid (days to weeks) tropospheric temperature and land surface adjustments. In this article, we use the Met Office Hadley Centre climate model HadGSM1 to review these recent developments and assess their impact on radiative forcing and equilibrium climate sensitivity. We estimate that cloud adjustment contributes ~0.8 K to the 4.4 K equilibrium climate sensitivity of this particular model. We discuss the methods used to evaluate cloud adjustments, highlight the mechanisms and processes involved and identify low level cloudiness as a key cloud type. Looking forward, we discuss the outstanding issues, such as the application to transient forcing scenarios. 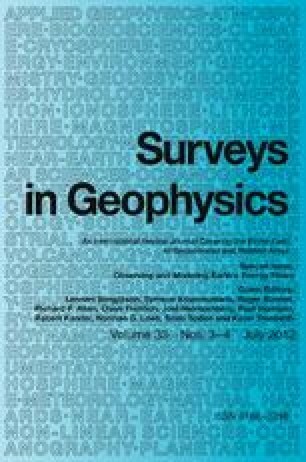 We suggest that the upcoming CMIP5 multi-model database will allow a comprehensive assessment of the significance of cloud adjustments in fully coupled atmosphere–ocean-general-circulation models for the first time, and that future research should exploit this opportunity to understand cloud adjustments/feedbacks in non-idealised transient climate change scenarios. A useful tool for measuring the response of the climate system to an external forcing is its equilibrium climate sensitivity, defined as the equilibrium global mean surface temperature change in response to a step change CO2 doubling (e.g., Knutti and Hegerl 2008). It also provides a useful metric for comparing the responses of different climate models to external forcings. The Coupled Model Intercomparison Project phase 3 (CMIP3) (Meehl et al. 2007) generation of climate models simulate a range of equilibrium climate sensitivity of 2.1–4.4 K (Randall et al. 2007). Cloud feedback has long been identified a major source of this uncertainty (e.g., Bony et al. 2006; Webb et al. 2006; Randall et al. 2007), and remains the least well understood feedback process (Stephens 2005). A recent development on the role of clouds in climate change has been the possibility that some of the model uncertainty normally associated with cloud feedback may have been misdirected. Here, feedback is defined as the part of the change that evolves with global mean surface temperature. There is now a body of modelling work (Gregory and Webb 2008; Andrews and Forster 2008; Williams et al. 2008; Andrews et al. 2009; Doutriaux-Boucher et al. 2009; Dong et al. 2009; Colman and McAvaney 2011) showing that changes in clouds also influence climate through short timescale (days to weeks) non-feedback tropospheric temperature and land surface adjustments. These adjustments come about rapidly, before global mean surface temperature change, due to the change in atmospheric radiative heating caused by the introduction of the forcing agent and/or through land surface processes. Cloud feedbacks, as defined here, operate on a multi-annual to decadal timescale associated with changes in global mean surface temperature (e.g., Bony et al. 2006). The idea of rapid non-feedback cloud adjustments to radiative forcing is not entirely new; it is analogous to how changes in atmospheric aerosols lead to rapid changes in cloudiness through microphysical processes (aerosol indirect effects) and/or local atmospheric heating (semi-direct effects). These aerosol-induced cloud adjustments are routinely included in estimates of aerosol radiative forcing as they improve estimates of long-term changes in surface temperature (e.g., Shine et al. 2003; Hansen et al. 2005; Lohmann et al. 2010). Predicting transient climate change If a significant component of the cloud response under climate change can be considered a cloud adjustment, then a component of cloud changes will keep up with, ‘track’, changes in radiative forcing. On the other hand, cloud changes dominated by feedback processes will lag changes in radiative forcing on a multi-annual to decadal timescale due to the thermal inertia of the climate system. Correctly separating these processes is needed to correctly predict transient climate change (Gregory and Webb 2008). Mechanisms of climate change Feedbacks operate through large-scale changes in surface temperature (e.g., Bony et al. 2006) and so should be independent of the cause of the initial perturbation (assuming that the pattern of surface warming is the same). Cloud adjustments, on the other hand, will strongly depend on the nature of the forcing agent, such as its radiative properties, distribution in the atmosphere, microphysical properties and ability to interact with the carbon cycle (see, for example, Sect. 6.3). Definition of radiative forcing If adjustments are included in estimates of climate feedbacks then feedbacks may appear forcing dependent, limiting the utility of the radiative forcing concept in predicting surface temperature change. It is partly for this reason that there are now several radiative forcing definitions (see Shine et al. 2003; Hansen et al. 2005; Forster et al. 2007) that include various climate ‘responses’, tropospheric and cloud adjustment included. Uncertainties in cloud feedback Multi-model differences in cloud feedback may be smaller than previously thought if estimates are contaminated by uncertainties in cloud adjustments (Andrews and Forster 2008). In the rest of this article, we will survey some of the above ideas in more detail, using the Met Office Hadley Centre climate model HadGSM1 to illustrate the concepts. Section 2 describes the model. Section 3 describes the forcing/feedback framework that is used to separate cloud adjustments from feedback. Section 4 quantifies the influence of cloud adjustment on the top-of-atmosphere (TOA) radiation balance. Section 5 estimates the impact of this on the model’s equilibrium climate sensitivity. Section 6 discusses the key mechanisms and processes involved. Section 7 discusses the outstanding issues, applications to the real world, and future research directions. Finally, Sect. 8 presents a short summary. We use the atmospheric component of the Met Office Hadley Centre Global Environmental Model version 1 (HadGEM1) (Martin et al. 2006) coupled to a simple 50 m thermodynamic mixed-layer (‘slab’) ocean and sea-ice model (Johns et al. 2006). This setup is referred to as HadGSM1. Parallel to a control run with constant CO2, a standard climate sensitivity experiment is performed in which CO2 is instantaneously doubled and subsequently held constant. The model is run for 70 years, of which we regard the first 20 years as the transient part and the remaining 50 years as the new perturbed equilibrium state (Fig. 1). Note that this experiment is the same as that archived in CMIP3. All changes are determined by subtracting a linear fit through corresponding portions of the annual mean control data in order to remove any model drift and control noise from the climate change signal. All radiative fluxes are defined as positive downwards. We also make use of a CO2 doubling scenario in atmosphere-only mode, i.e. with climatological sea-surface-temperatures (SSTs) and sea-ice (see Sect. 3.2). The model is run for 10 years parallel to a control run. Note that this is the same experiment as used by Andrews et al. (2010). This experiment uses a slightly different version of the atmospheric component of HadGSM1, in that it has an improved representation of aerosols (see Bellouin et al. 2007), but we regard the two models as the same for practical purposes. In the following section, we discuss this relationship and describe two independent methods that exploit it to evaluate the contribution of cloud adjustment to radiative forcing. Figure 1 shows the change in global mean surface air temperature (ΔT, black line) and net TOA radiative flux (N, red line) during the 70 year 2 × CO2 HadGSM1 simulation. Gregory et al. (2004) showed that the simple relationship (Eq. 1) between these two variables allows a separation of forcing from feedback according to timescale (see also, Gregory and Webb 2008). In the following, we discuss this relationship and use it to separate cloud adjustment from cloud feedback. Figure 2a shows the global annual mean change in net TOA radiative flux as a function of ΔT during the first 20 years after CO2 was doubled. The time evolution begins on the left of the plot where the y-axis intercept represents the increase in radiative flux into the climate system caused by the introduction of the forcing agent at ΔT = 0, which we interpret as forcing according to Eq. 1 (Gregory et al. 2004). In this case, the forcing is ~3 Wm−2 (the regression coefficients are given in Table 1). Gregory and Webb (2008) performed the same analysis across a range of CMIP3 models and found a range of values of ~3–4 Wm−2, HadGSM1 therefore lies at the lower end of this range. It is important to note that this diagnosed forcing is different from the traditional radiative forcing that allows stratospheric temperatures to adjust but keeps the surface and tropospheric temperatures and states held fixed (e.g., Forster et al. 2007). The approach used in Fig. 2 sets no constraints on tropospheric temperatures or state, only that globally averaged surface temperature is unchanged. Therefore, changes in the tropospheric lapse-rate, clouds, and any other variable that responds quicker than global mean ΔT, and has an impact on the TOA radiation balance, will be included in our forcing estimate. The climate evolves in response to the forcing rightwards and downwards along the curve, i.e. ΔT increases and the rate of heat uptake by the system reduces (see Fig. 1, also). The new steady state will be achieved towards the bottom right of this curve when the perturbation in the rate of heat uptake reaches zero. The gradient of the curve measures the signed feedback parameter, −α in Eq. 1. Using this sign convention means a positive value represents a positive feedback, and a negative value represents a negative feedback. Overall, this quantity must be negative (i.e. oppose the forcing) for a stable system, as seen in Fig. 2a where it is equal to ~−0.6 Wm−2 K−1 (Table 1). The net radiative flux term (Fig. 2a) can be broken down into components (Fig. 2b and Table 1): longwave (LW) and shortwave (SW), as well as clear-sky and cloud radiative effect (CRE). The CRE term is defined as the difference between net downward radiative fluxes in all-sky (i.e. the observed meteorological conditions, including clouds if present) and clear-sky (i.e. assuming no cloud) conditions. For the purpose of this section, we use changes in CRE as a measure of cloud adjustments and/or cloud feedback, noting that ‘cloud masking’ (see below) will affect these results and is addressed in Sect. 4. The dominant term in the forcing (intercept) is in the LW clear-sky, consistent with the radiative effect of a greenhouse gas (Fig. 2b; Table 1). LW clear-sky feedback is strong and negative (stabilising) and results from water vapour, lapse-rate and black body feedbacks, the last being dominant (e.g., Soden and Held 2006). SW clear-sky provides a positive feedback, consistent with reduced clear-sky albedo due to a loss of sea-ice and snow cover with increased global temperature, as well as enhanced absorption through the water vapour feedback. Gregory and Webb (2008) discuss these clear-sky terms in more detail across the CMIP3 models, so we will focus on the cloud terms in detail from now on. LW CRE weakly increases with positive ΔT, as seen by the positive slope of the red line in Fig. 2b, indicating a positive LW cloud feedback of 0.19 ± 0.05 Wm−2 K−1. Across the CMIP3 generation of models, Gregory and Webb (2008) found a range of LW CRE feedback of ~−0.1 to +0.3 Wm−2 K−1. In contrast, there is no statistically significant relationship between changes in SW CRE and global mean surface air temperature in this particular model (Table 1), indicating little or no SW cloud feedback. This is a robust feature across most of the models analysed by Gregory and Webb (2008) except for a few exceptions, such as the ‘high climate sensitivity’ version of the Model for Interdisciplinary Research on Climate 3.2 (MIROC3.2), which has a large SW CRE feedback, 0.62 ± 0.05 Wm−2 K−1. Net cloud feedback (sum of LW and SW CRE) is small in HadGSM1 (in comparison to other feedback terms), amounting to 0.17 ± 0.08 Wm−2 K−1 (Table 1). Lack of SW CRE feedback is shown by the blue line in Fig. 2b being flat. The change in SW CRE is constant and positive, i.e. the blue line. This indicates a change in cloudiness that came about before changes in ΔT, as seen by the non-zero positive intercept of 0.55 ± 0.26 Wm−2. It is this rapid change in cloudiness that does not scale with ΔT that we interpret as a non-feedback cloud adjustment (Gregory and Webb 2008). The intercept, when combined with the traditional forcing estimate, allows us to quantify the effect of the rapid adjustment of clouds on the TOA radiation budget. This allows cloud adjustments to be easily incorporated into our forcing estimate. A word of caution is that changes in CRE do not necessarily imply a change in cloud properties due to the way they are calculated using clear-sky fluxes (e.g., Soden et al. 2004; 2008). In Sect. 4, we will address this limitation on the CRE approach by quantifying the consequent ‘cloud masking’ effect and removing it from our CRE adjustment term. The regression approach used in Sect. 3.1 to evaluate forcing and feedback is particularly useful as it does not require a special experiment beyond a standard instantaneous step change experiment. However, it does have its limitations. For example, if the signal is small then the regression results can be statistically uncertain and sensitive to the number of years included in the regression and the way in which the control is subtracted. It is also limited in providing regional information, although regressing local radiative fluxes against global mean surface temperature is possible (e.g., Gregory and Webb 2008), the results can include considerable noise if the variability is large. Rather than regressing ΔT back to zero to evaluate forcing, another approach is to fix ΔT at zero from the outset. As ΔT = 0 in such an experiment, Eq. 1 would imply that N = F, and hence forcing could be evaluated from the change in net TOA radiation balance. In practice, this condition is implemented by running an experiment in atmosphere-only mode, i.e. by replacing the ocean model with climatological SSTs (ideally derived from the coupled control simulation) and including the forcing agent (e.g., Shine et al. 2003; Hansen et al. 2005). The rationale for such an experiment is that it prohibits climate feedbacks as surface temperatures (or SSTs at least) are prevented from evolving, but allows for any change in stratospheric temperatures as well as the tropospheric lapse-rate and any other variable (e.g., cloud cover, precipitation, water vapour) to respond to the forcing agent (Shine et al. 2003; Hansen et al. 2005). We refer to this experiment as a ‘fixed-SST experiment’. This approach is particularly useful as it provides a straight forward way of evaluating forcing/adjustments regionally, as well as reducing noise if the experiment is run for a sufficiently long time. However, it gives no information on feedbacks. Note that the aerosol community have routinely been using this method to incorporate cloud adjustments (e.g., indirect and/or semi-direct effects) into their forcing estimates, often referred to as ‘quasi forcing’ or ‘radiative flux perturbation’ (e.g., Rotstayn and Penner 2001; Lohmann et al. 2010). A comparison between the regression intercepts and forcing diagnosed from the fixed-SST experiment is presented in Fig. 3. In agreement with Gregory and Webb (2008); Bala et al. (2010) and Colman and McAvaney (2011), who all provide similar comparisons but with different models, we conclude that fixed-SST experiments provide an independent method for evaluating forcing/adjustments and are largely in agreement with the regression approach. In practice, it means the regression approach is capturing the adjustment of the atmosphere and land surface to radiative forcing. The agreement is not perfect; however, for example the two methods do not agree in the SW clear-sky forcing term in this case (and in other terms in the above studies). Differences are to be expected given that the methods impose ΔT = 0 in different ways. The regression approach only requires global mean surface air temperature change to be zero, it sets no constraints on local surface temperature change. The fixed-SST method on the other hand sets ΔT = 0 by imposing all local SST changes to be zero, but in practice there is a small amount of surface warming from the land surface and over sea-ice (see Fig. 4d). This could give rise to regional differences between the methods (Gregory and Webb 2008). Further discussion on these differences is given in Shine et al. (2003); Hansen et al. (2005); Gregory and Webb (2008) and Andrews et al. (2009). The net CRE adjustment diagnosed in Sect. 3 is small and negative for HadGSM1, which is a common feature across most of the multi-model comparison in Gregory and Webb (2008). The interpretation therefore, could be that clouds adjust to the increased CO2 in such a way as to reduce the TOA energy imbalance and so reduce the CO2 radiative forcing and subsequent global temperature change. However, this neglects the instantaneous effects clouds have on the CO2 radiative forcing. For example, instantaneous forcing calculations show that CO2 radiative forcing is larger in clear-skies than in overcast conditions (Soden et al. 2008; Andrews and Forster 2008; Colman and McAvaney 2011). Andrews and Forster (2008) determined that the presence of clouds reduced global mean 2 × CO2 instantaneous radiative forcing by ~0.5 Wm−2 across a selection of CMIP3 models, which is in agreement with similar values calculated by Soden et al. (2008) using the geophysical fluid dynamics laboratory (GFDL) model and Colman and McAvaney (2011) using the Australian Bureau of Meteorology Research Centre (BMRC) model. This ‘cloud masking’ effect arises due to increased CO2 instantaneously reducing TOA upward LW radiation, but emission from optically thick clouds remaining the same. Hence, CO2 radiative forcing is larger in clear-skies than in all-skies, giving rise to an instantaneous CRE component. This instantaneous CRE masking effect must be removed to quantify the radiative effect of cloud adjustments. We quantify the instantaneous CO2 CRE masking term in HadGSM1 by using instantaneous forcing calculations (the difference between two calls of the radiation code: one based on the control configuration and one with the forcing agent introduced). Globally, we find the all-sky radiative forcing to be 0.56 Wm−2 smaller than the clear-sky radiative forcing, therefore doubling CO2 instantaneously generates a −0.56 Wm−2 CRE term due to clouds shielding the impact of underlying CO2 changes. Subtracting this masking term from the CRE terms in Sect. 3 leaves a change in TOA radiative flux that comes about due to a change in cloudiness, that is, the cloud adjustment that we are trying to quantify (Table 2). In HadSM1, cloud adjustment acts to enhance the initial radiative forcing by ~0.5 Wm−2 globally. This is a common feature across most of the CMIP3 models analysed by Andrews and Forster (2008). The spatial patterns of these terms are presented in Fig. 4a, b, c (and are discussed further in Sect. 6). Locally, cloud adjustment can exceed 10 Wm−2 in places (Fig. 4c). A final caution on cloud masking is that the separation of clear-sky and CRE will also influence our estimates of feedbacks through analogous masking effects (Soden et al. 2004, 2008). For example, clouds may shield much of the impact of changes in underlying surface albedo, leading to an overestimate in surface albedo feedback if computed in clear-skies, and hence a CRE feedback term despite no change in cloud properties (Soden et al. 2008). Moreover, if there are also rapid adjustments in the clear-sky terms, possibly arising from rapid adjustments in land-snow cover or sea-ice, then further cloud masking effects could contaminate our estimates of cloud adjustments. One method to avoid such issues altogether is to use a partial radiative perturbation (PRP) technique (e.g., Wetherald and Manabe 1988). This method makes no distinction between clear-sky and all-sky, it simply takes the change in any variable, such as cloud fraction, and imposes it on an offline radiation code to determine the radiative effect on the TOA radiation budget. Colman and McAvaney (2011) performed such an analysis with step change CO2 experiments and combined the PRP approach with the regression and fixed-SST methods. They found a SW cloud adjustment of 0.94 ± 0.43 Wm−2 and little/no LW cloud adjustment, qualitatively confirming the CRE adjustment results described here. Furthermore, their approach gives additional insight as the cloud terms can be broken down into cloud fraction and optical properties. They found virtually all of the SW cloud adjustment being the result of changes in cloud fraction. The equilibrium climate sensitivity of this model is 4.4 K. Assuming linearity, we combine the net cloud adjustment term (0.47 Wm−2) with the feedback parameter for this model (−0.61 Wm−2 K−1) to estimate the contribution of cloud adjustment to the equilibrium climate sensitivity to be ~0.8 K, that is, ~18% of the total value. Similarly, Gregory and Webb (2008) showed that differences in cloud adjustment explained the 1.2 K difference in equilibrium climate sensitivity between two versions of the Met Office model HadSM3. Given multi-model differences in the magnitude of cloud adjustment (Gregory and Webb 2008; Andrews and Forster 2008), it is likely that this effect could explain some of the spread in equilibrium climate sensitivity across models. For example, the range of net cloud adjustment across models reported in Andrews and Forster (2008) is −0.52 to + 0.91 Wm−2. Combining this range with a multi-model mean feedback parameter of −0.96 Wm−2 K−1 (Gregory and Webb 2008) suggests the uncertainty in cloud adjustment alone could give rise to an uncertainty in multi-model equilibrium climate sensitivity of the order 1.5 K.
A pertinent question is: what is the timescale of cloud adjustments, i.e. how fast is fast? Dong et al. (2009) used an ensemble of 4 × CO2 fixed-SST experiments with daily diagnostics to investigate the transient behaviour of adjustments. They concluded that land surface and tropospheric adjustment (including cloud) are statistically indistinguishable from their equilibrium value after only 5 days. This is consistent with Doutriaux-Boucher et al. (2009) who used an ensemble regression approach (as in Fig. 2) with monthly data and found no deviation from linearity, implying that the adjustment timescale is considerably less than one month. Such a short timescale relative to the surface response is not surprising given the much smaller heat capacity, and therefore relaxation time, of the troposphere and land surface compared to the ocean. The immediate impact of increasing CO2 is mostly felt in the troposphere. For example, Andrews et al. (2010) showed that the 3.5 Wm−2 instantaneous radiative forcing on doubling CO2 is partitioned between the troposphere and surface by 2.8 and 0.7 Wm−2, respectively. This sudden change in tropospheric radiative heating may alter the local atmospheric lapse-rate and stability, influencing convection and cloudiness and hence the TOA radiation budget (Dong et al. 2009). Over the global ocean, near-surface temperatures change little on the adjustment timescale, but the CO2 induced tropospheric heating leads to significant warming above the surface, with maximum increases occurring around 800 hPa (Dong et al. 2009). Using fixed-SST experiments, both Dong et al. (2009) and Colman and McAvaney (2011) showed that this corresponds to reductions in relative humidity, and consequent reductions in cloud fraction. Colman and McAvaney (2011) further showed that this is largely confined to the tropics and subtropics, where reductions in cloud fraction occur at ~800 hPa at the equator, but follow an arc towards the subtropical near-surface. These spatial changes also correlate well with the instantaneously induced change in tropospheric radiative heating (Colman and McAvaney 2011). Note, however, that while CO2 tropospheric heating leads to a tropospheric temperature adjustment that influences cloudiness (amongst other things), it is neither the temperature nor cloud changes that are the dominant terms in restoring the energy balance of the troposphere. It is changes in condensational heating and associated precipitation/surface evaporation that play this role (e.g., Mitchell et al. 1987; Allen and Ingram 2002; Lambert and Allen 2009). Global mean precipitation initially decreases following an increase in CO2 through rapid tropospheric adjustment processes, then increases on a multi-annual timescale associated with changes in global surface temperature. This is now well documented and understood in modelling studies (e.g., Yang et al. 2003; Lambert and Webb 2008; Andrews et al. 2010), including the HadGSM1 model used here (Andrews et al. 2009). A plant’s stomata control the exchange of carbon dioxide, oxygen and water vapour between the plant’s leaf and the atmosphere. Under increased CO2, the stomata do not open as wide, reducing the transfer of moisture and energy to the atmosphere through evapotranspiration, thus altering the surface energy balance and near-surface climate (e.g., Field et al. 1995; Sellers et al. 1996; Betts et al. 1997; Cox et al. 1999). Over land, this ‘CO2 physiological forcing’ plays a considerable role in the near-surface and tropospheric response to increased CO2 (e.g., Joshi et al. 2008; Joshi and Gregory 2008; Dong et al. 2009; Doutriaux-Boucher et al. 2009; Boucher et al. 2009; Andrews et al. 2011). The reduced surface latent heat flux to the atmosphere leads to a significant drying and warming of the boundary layer over land, with correspondingly large reductions in relative humidity and cloud fraction (Doutriaux-Boucher et al. 2009; Dong et al. 2009; Andrews et al. 2011). A recent development has been the realisation that these physiological processes act on a similar timescale to tropospheric adjustment (Doutriaux-Boucher et al. 2009; Dong et al. 2009), and so any rapid cloud changes can be considered as part of cloud/tropospheric adjustment and so incorporated into the radiative forcing. For example, Doutriaux-Boucher et al. (2009) used a 12-member ensemble of 5-year 4 × CO2 and 2 × CO2 step experiments, with and without the stomatal conductance change, and followed a similar regression approach as used in Fig. 2 here. They found that the cloud fraction changes due to CO2 physiological forcing influenced the intercepts (i.e. can be considered as rapid adjustments). Comparisons with estimates derived by fixing the stomatal conductance revealed that the physiological effect more than doubled the net TOA CRE cloud adjustment term that came about from the CO2 radiative effects acting alone. In HadGSM1, we expect a component of cloud adjustment to similarly arise from such a process. Figure 4e shows the change in the near-surface relative humidity in the 2 × CO2 fixed-SST experiment. Consistent with the above processes there are large reductions in near-surface relative humidity over land, particularly over the Amazon and central African forest, as an immediate response to increased CO2. Note that a parallel experiment with fixed stomatal conductance would be required to definitively attribute such changes to CO2 physiological effects. We investigate the impact of these changes on low level cloudiness using the International Satellite Cloud Climatology Project (ISCCP) simulator diagnostics (Klein and Jakob 1999; Webb et al. 2001). Figure 4f shows the adjustment in low level cloud amount (defined as cloud top pressure greater than 680 mb), as diagnosed from the fixed-SST experiment. We observe large reductions in low level cloud amount over land, consistent with Doutriaux-Boucher et al. (2009) and Andrews et al. (2011). Changes in low level cloudiness often influence the net CRE at the TOA more than equivalent changes in mid to high level clouds. This is because changes in low level clouds generate large changes in SW CRE as they are usually highly reflective, but have no/small compensating LW CRE changes as they are close (and therefore of similar temperature) to the surface. Changes in SW CRE due to changes in high clouds, however, are often accompanied by compensating changes in LW CRE. Consequently therefore, the spatial pattern of the net CRE cloud adjustment (Fig. 4c) closely follows the adjustments in low level cloud amount (Fig. 4f) over much of the globe, but particularly so over land. Despite considerable progress in the last few years on the role of cloud adjustment in CO2 radiative forcing (as surveyed above), there are still many outstanding issues to be addressed. Therefore, interpretations are likely to change as more detailed research is done. In the following section, we discuss some of these outstanding issues and suggest ways forward. The results presented here have generally considered mixed-layer ocean models only. Mixed-layer ocean models are useful for comparing and evaluating the response to external forcing as it is computationally inexpensive to run many idealised experiments and they can often be run to equilibrium; something which is too computationally expensive for fully coupled atmosphere–ocean general circulation models (AOGCMs). AOGCMs on the other hand, are crucial for more realistic and transient scenarios. A key question, therefore, is how important are cloud adjustments in transient AOGCM simulations? Firstly, we expect certain methods used to evaluate cloud adjustments (e.g., the regression approach) to depend on the ocean component if the transient behaviour described by Eq. 1 is different in mixed-layer and fully dynamic ocean models. For example, both Gregory et al. (2004) and Williams et al. (2008) observed non-linearity between radiative fluxes and changes in global mean surface temperature in the first few decades of idealised step AOGCM forcing experiments (equivalent to a non-linearity in our Fig. 2). Williams et al. (2008) interpreted the non-linearity as evidence of adjustments to CO2 radiative forcing operating on a decadal timescale, identifying a non-linear stratocumulus cloud response as the local patterns of SSTs changed in the subtropical ocean basins, as its dominant cause. The advantage of including this decadal response into estimates of forcing is that it removes the apparent time variation of effective climate sensitivity (Williams et al. 2008) that was observed in previous studies (e.g., Senior and Mitchell, 2000). However, decadal adjustments imply an ocean component in its mechanism because the atmosphere does not have sufficient ‘memory’ for decadal responses. Therefore, rather than decadal adjustments to forcing, this might be better interpreted as a change in feedback (e.g., Winton et al. 2010). Clearly, identifying a cloud feedback that depends on climate state, or a decadal cloud adjustment in response to forcing, is important for the same reasons outlined in the introduction of this article. The upcoming CMIP5 multi-model intercomparison project is requesting step change 4 × CO2 experiments in AOGCMs for the first time (Taylor et al. 2009). This will present researchers with a unique opportunity to address this issue across models. One obvious difference between the real world and the idealised experiments highlighted here is the large step change CO2 forcing applied to the model. The question, therefore, is do adjustments occur at smaller magnitude forcings and how are they realised in transient forcing scenarios, such as historical twentieth century simulations and future emission scenarios? The problem in evaluating forcing/adjustments in transient forcing scenarios is that there is no clear way of separating forcing from feedback as they will both evolve together. This will present a challenge to the observing community as cloud feedback estimates may be contaminated by cloud adjustments. Forster and Taylor (2006) proposed a method for diagnosing the radiative forcing/adjustments from transient forcing scenarios, but it assumes that the feedback parameter (as diagnosed from idealised runs) is time invariant. As seen in Gregory et al. (2004) and Williams et al. (2008), it is not obvious that this should hold. Perhaps a better method for diagnosing forcing/adjustments in transient forcing scenarios would be to run the scenarios in fixed-SST mode, i.e. with climatological SSTs as in Sect. 3.2. Held et al. (2010) used a similar method to diagnose a radiative forcing time series in a historical simulation. This would provide a simple method of diagnosing cloud adjustments in transient scenarios and, if combined with a parallel fully coupled run, could be used to better isolate cloud feedback. Unfortunately, this was not part of the CMIP5 protocol, but it is hoped modelling groups may perform their own transient fixed-SST experiments for this purpose. Another avenue to explore is possible linkages between the energy and water cycles. For example, the condensational heating associated with precipitation provides a link between the hydrological cycle and radiative processes such as cloud feedback (Stephens 2005; Stephens and Ellis 2008). An advantage of this approach is that precipitation adjustments, particularly in response to greenhouse gases or black carbon aerosol, are subject to energetic constraints and provide a more robust signal across climate models than cloud adjustments do, and therefore are potentially easier to observe in transient forcing scenarios (e.g., Lambert and Allen 2009; Andrews and Forster 2010; Frieler et al. 2011). However, there is still substantial disagreement on recent precipitation trends across datasets (e.g., Arkin et al. 2010), presenting a considerable challenge if attempting to tease out adjustment processes. Another outstanding issue is the consistency of methods used to evaluate cloud feedbacks. There is now a large set of methods to consider, all giving different results: regression of changes in CRE against global surface temperature change (see Sect. 3.1), PRP techniques (discussed in Sect. 4), radiative kernels (e.g., Soden et al. 2008), uniform and patterned +4 K experiments that part of the CMIP5 experimental design (Taylor et al. 2009), and combinations thereof. Each methodology has its merits, but with cloud masking effects and cloud adjustments to consider, it is no longer straightforward to interpret what each methodology physically represents. For example, Andrews and Forster (2008) showed that accounting for cloud adjustment in CRE approaches reduces the range of model predicted cloud feedback. However, their values were still inconsistent with PRP or kernel approaches as they did not remove cloud masking errors. On the other hand, PRP and kernel approaches will be contaminated by cloud adjustment errors if they consider all cloud changes to be feedback. One way forward would be to compute cloud feedback using all the above methodologies for a single model. By considering the role of cloud masking and/or adjustments, one might be able to unify the feedback methodologies and explain the relative importance of masking or adjustments in them. In Sect. 6, we discussed possible mechanisms of cloud adjustment to CO2 radiative forcing, namely atmospheric heating and interactions with the biosphere. We identified low level cloudiness as a key cloud type in HadGSM1 cloud adjustment processes. However, there is still a considerable amount we do not know and possible mechanisms to explore, such as changes in dynamics and atmospheric stability. For example, one possible mechanism might be through circulation changes induced through the rapid warming of the land surface (see Fig. 4d). CMIP5 is requesting 3 hourly data for 4 × CO2 fixed-SST experiments; this may allow us to probe the adjustment processes in detail. Furthermore, CMIP5 will contain a series of atmospheric model intercomparison project (AMIP) experiments conducted in connection with the cloud feedback model intercomparison project (CFMIP) (e.g., Bony et al. 2011) that will allow us to diagnose and investigate in detail the physical drivers of CO2 induced cloud adjustments. It is also possible that basic physical processes could be investigated in simple radiative-convective models. In response to increased CO2, climate models suggest that not all cloud changes should be considered as feedback—a significant component of the change in cloud radiative effect is due to rapid cloud adjustments associated with the adjustment of the land surface and troposphere to radiative forcing. The effect of cloud adjustment on the TOA radiation budget can be routinely incorporated into our estimates of CO2 radiative forcing by using either, (1) a regression approach that separates forcing from feedback according to timescale, and/or, (2) fixed-SST experiments that use climatological SSTs to prevent climate feedback by inhibiting surface temperature change (see Sect. 3). Including tropospheric adjustments in our definition of radiative forcing is analogous to including stratospheric adjustment, and is routinely done for aerosol indirect/semi-direct effects. In HadGSM1, we estimate that cloud adjustment contributes ~0.5 Wm−2 to the CO2 radiative forcing, which translates into ~0.8 K of the 4.4 K equilibrium climate sensitivity of this model. As cloud adjustment varies across models, it is therefore likely to contribute to the range of equilibrium climate sensitivities across models. We stress, however, that cloud feedback is still important and remains a major source of uncertainty in climate change projections. Looking forward, there are many outstanding issues to be addressed, such as the role of cloud adjustment and feedback in AOGCMs, how it is realised in realistic transient forcing scenarios, what the detailed mechanisms and processes are, and how the observing platform might be utilised to observe such processes. The upcoming CMIP5 multi-model database will provide a unique opportunity to test some of these ideas and provide further insights into cloud adjustment processes and their role in climate change. We thank the International Space Science Institute in Bern for hosting the workshop on ‘Observing and modelling Earth’s energy flows’, and its participants for fruitful discussions. We acknowledge two anonymous reviews for helping to improve the clarity of the manuscript. Funds for this survey were provided by a NERC open CASE award with the University of Leeds and the Met Office. This work was supported by the Joint DECC/Defra Met Office Hadley Centre Climate Programme (GA01101).